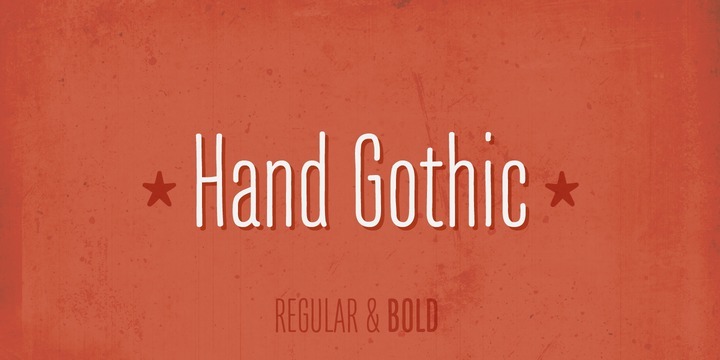 Hand Gothic is a typeface created by Joël Carrouché and published by JCFonts. It is a handwritten font avaible in two weights. Also you can find a handful set of arrows and icons. Enjoy! A font description published on Friday, February 8th, 2013 in Fonts, JCFonts by Alexandra that has 4,261 views.